Featured | Interex Forest Products Ltd.
One of my favourite ornaments on our tree at Christmas time is a ceramic woodpecker. This forest dweller was one of the three potential natural checks to prevent the spread of the Pine Beetle. The other two are -40 Celsius temperatures in winter and forest fires. We don’t have the frigid winter temperatures anymore, but we certainly do have the forest fires. The worldwide forest fire situation has been devastating the last 2 years, and more and more countries seem to be affected by the loss of assets, productive forest land and worse, life. Dead Pine stands killed by the Pine Beetle were the most susceptible to raging forest fires. In British Columbia, 2018 was the worst year for forest fires with 1.3 million hectares lost besting the 1.2 million lost in 2017. In total, more than $900 million was spent fighting fires during the past 2 years. Once again in our province, and fortunately, no lives were lost due to the heroic work of Canadian forest fire fighters and those brought in from Australia, New Zealand, Mexico and the United States. Our August was spent under almost apocalyptic, thick, grey skies, wondering when we would see the sun, our local mountains and ocean vistas. Smoke spread across Canada and as far away as Ireland. Predictably, as soon as September arrived, and the dew point dropped, mother nature took over and the threat of forest fires rapidly diminished in British Columbia. But what of the next season? 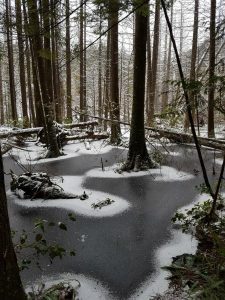 I attended a symposium in late October of 2018 at the University of British Columbia hosted by the UBC Forestry Faculty there; the topic was on the continued threat of forest fires and solutions for mitigation. Bruce Blackwell (UBC Forestry ’84) has been saying it is fuel loading and while it is great to put out fires, natural fires and controlled burns significantly help to reduce fuel loading and radical fire behavior. His point was, “When do you want your smoke?” In the fall and early spring or in July and August when fires can be at their worst and most damaging. The window to address fuel loading is closing. There is a movement from the BC provincial government and communities to promote and support more controlled burns in BC to reduce fuel loading removing more of the risk of extreme fire situations. 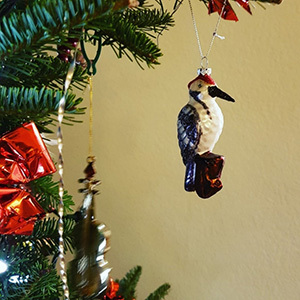 So, where does the ceramic woodpecker ornament fit in? It is my reminder that mother nature can be fragile but, has a significant role to play in mitigating risks with climate change. As for business, our industry in 2018 saw new records and sustained high prices for forest products in North America during the 2nd quarter and then…. the free fall through 3rd and 4th quarter. This, once again, created challenges and yes, opportunities for any exporter of forest products. There is no doubt that tariffs have had an impact on our business in China as products made there are being forced to find opportunities domestically, forcing imports (our exports) to the fringes. Canadian mills and businesses are competitive, and I have to say, so reliable with meeting contract obligations. That said, despite the challenges with pricing and wild fluctuations, we shipped virtually the same volume overseas in 2018, panels and lumber combined, as we did in 2017; just another good but challenging year. 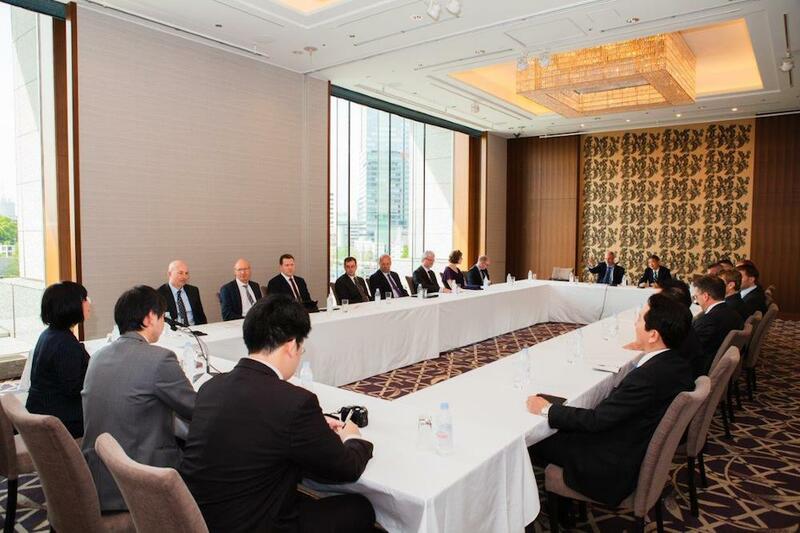 It was a pleasure to be a part of the large Interex shareholder and member company group that went to Japan to participate in our 25th Anniversary celebration in Tokyo on April 12th of 2018. We had over 230 people in attendance for the reception at the Palace hotel that evening. 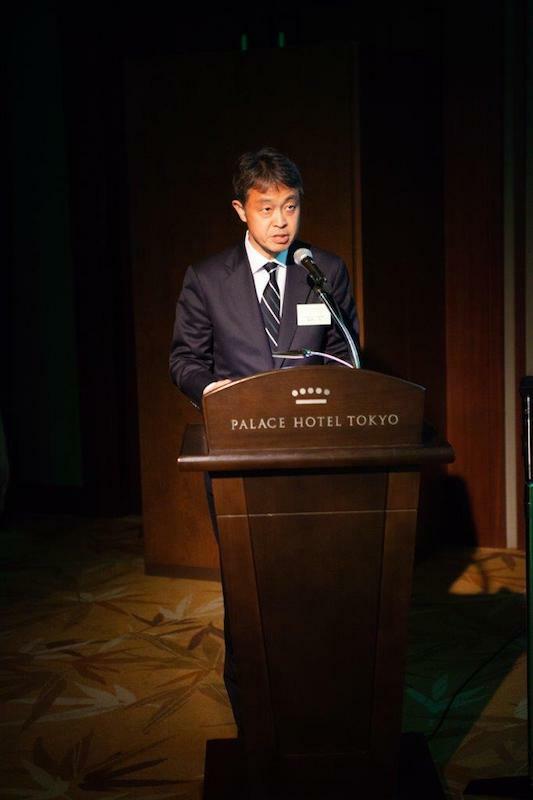 It felt good to address our guests and re-affirm our commitment to the Japanese market with sustainable forest products. Congratulations from the Canadian Embassy in Japan, Canada Wood/Japan, BC Wood/Japan and customers alike were well received and much appreciated. Our reloads continued to perform well and included the addition of 3 new operations in 2018 to accommodate our logistics requirements. We began the process of a “Best Practices for Container Loading” with 4 of our Panels reloads. The think tank of resources at each reload provided valuable suggestions and solutions for our container stuffing requirements. In late December, I participated in Minister Donaldson’s (Forest, Lands, Natural Resource Operations and Rural Development) 2nd market trip to Japan. Government officials and Indigenous First Nations leaders participating in the mission declined to go to China to complete the tour; I declined as well based on comments from my own staff, Canada Wood leaders and Federal and Provincial government staff. The major forest product producers’ representatives continued with the China mission, lead by Canada Wood, completing the signing of MOU’s with MOHURD (Ministry of Housing and Urban Development) and supporting key initiatives for Wood in Manufacturing and Green building with wood. Our industry remains united in supporting market access and market development in our key jurisdictions in Asia. in December, instead of delivering Purdy’s chocolates to our vendors and suppliers, we thought it better to give to others in need. Interex made total contributions of $1,250 to foodbanks in Richmond, Vancouver, Kelowna, 100 Mile House, and Prince George, BC, as well Grande Prairie, Whitecourt and Edmonton, Alberta; all areas where our mills operate. So, here we are with fresh snow on the local mountains near Vancouver, temperatures hovering around 6 Celsius, and personally, my completion of my 20th consecutive New Years Day ocean swim, therefore, it must be the start of another year. We have demonstrated our resolve to be a reliable and recognizable exporter of forest products 25 years after the inception of our company. We could not have achieved this milestone without the support of the member companies we serve and the support from the vendors and other suppliers that make our business work. We recognize and appreciate the dedicated staff both here in Vancouver and in Japan and we so value our customers’ support in all the diverse markets that we serve. 2018 was a challenging year, but that is not so different from others. We continue to address those challenges with our partners and appreciate those special events and friendships that make working in a sustainable forest industry so rewarding. From myself and all our staff here at Interex Forest Products, we wish you all the best to you and your families for a healthy and prosperous New Year in 2019. 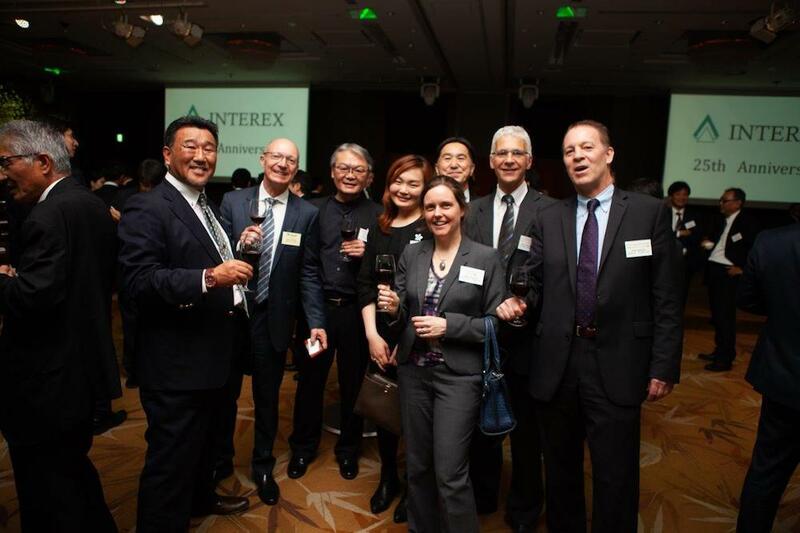 On Thursday, April 12, 2018, Interex and our Shareholder companies celebrated our 25th Anniversary with customers and special guests at the Palace Hotel in the centre of Tokyo. It was such a well-organized event with over 230 attendees in total. 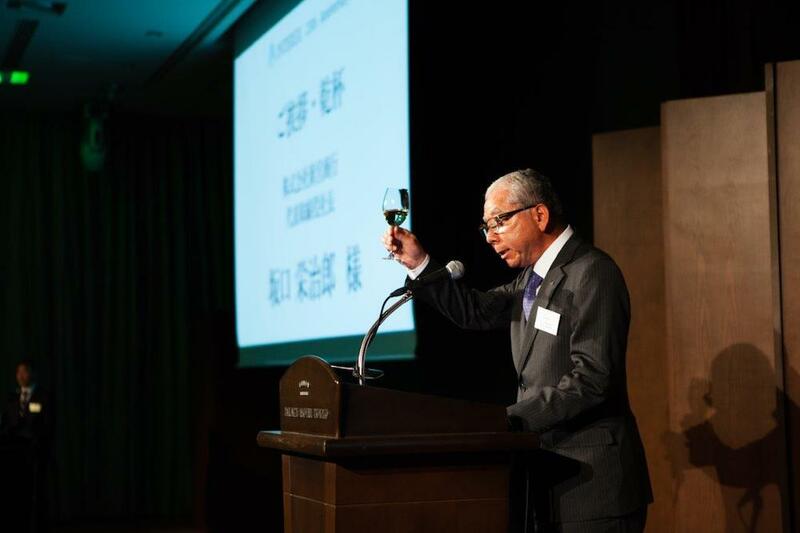 Have a read of my Anniversary Speech and Mr. Sakaguchi, President of Shingu Shoko, Kanpai toast. Welcome ladies and gentlemen and distinguished guests to Interex’s 25th Anniversary celebration. Thank you all for taking time to celebrate our milestone event this evening. I would like to take a moment to acknowledge and recognize the following organizations and people that have helped to make our company a success: BC Wood, the APA and COFI/Canada Wood. I would like to thank the Canadian Embassy and the BC and Alberta trade offices for their support. 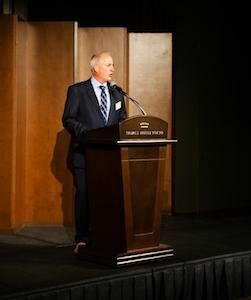 We have had many industry and customer functions at the Canadian Embassy in support of Canadian wood products promotion here in Japan. Thank you, Minister Arun Alexander for your support and your attendance this evening. I would also like to say thanks to Sakaguchi-san, President of Shingu Shoko, who will have the opportunity to give the closing remarks and the Kanpai toast. I would like to recognize and identify the important members of our shareholder companies here this evening that, together, make our company such a success. Carrier Lumber: Bill Kordyban – President, Elizabeth Kordyban -CFO, James Kordyban – Engineering Technologist and Madison Kordyban – Executive Secretary, Reg Foot – Sales Manager and member of the Interex Board of Directors and Jason Gordon – Woodlands Manager. Dunkley Lumber: Robert Novak – President and Chair of the Interex Board of Directors, Tony Mogus – General Manager and Brad Johnson – Forestry Operations Manager. Millar Western Forest Products: David Anderson – Chief Operating Officer and former member of the Interex Board of Directors. Norbord: Michael Dawson – recently retired Senior Vice President Sales, Marketing and Logistics and former member Interex Board of Directors, Bruce Alexander- Senior Vice President Sales, Marketing and Logistics and member of the Interex Board of Directors, Robert Fouquet – Vice President Engineered Wood, Export and Industrial Products and John Shook – Manager Export Sales. I would like to say thank you to the Interex, Japan staff for coordinating this event. I know that it takes tremendous effort to host such a celebration. I would also like to acknowledge Minegishi-san and his team for the good work that they do every day here in Japan. People do make the difference and I do appreciate the professionalism and dedication that our team provides with serving both our customers and member companies. For 25 years, our office here in Japan has provided the access and direct contact point for customers to purchase our shareholder’s quality products and service their in-market needs. 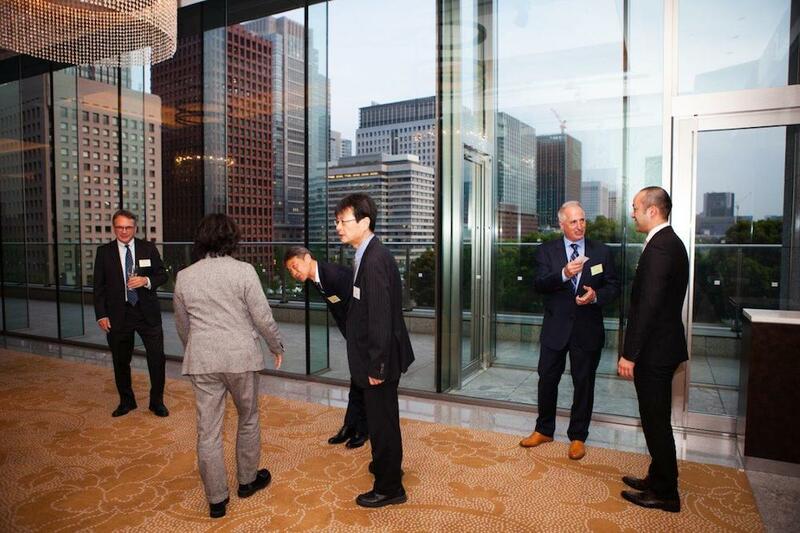 This presence in Japan demonstrates our member company’s commitment to the Japanese market. 25 Years; 25 years is not a long time if you are a tree. 25 years should be the lifespan of LED lightbulb, but I doubt that very much. 25 years is enough time for a baby to be born, to watch that child move through the various levels of schooling, become an adult and start a new stage of life…. and while probably still living at home. So, in 25 years, Interex has grown to a company of size that exported more than 8,600 containers of Lumber and OSB to Japan in 2017. I believe that is a significant number. I also believe that places Interex and our member companies as the largest Canadian shipper of wood and wood-based building materials to Japan. In 25 years we have become an important player in the Japanese market. I also think the importance of offering certified sustainable products to our Japanese customers cannot be overstated. Not only do you get the quality and sizes you need, you also have the guarantee that they are coming from professionally managed and sustainable forests. I can look my daughter in the eye and tell her that these forests will be there for her and the future generations to come. Besides the importance of sustainability, I like the cleverness of Japanese building systems. I like clever. An example of this is the recent use and adaptation of the Mid-Ply diaphragm that produces a super strong shear wall for Japanese homes and buildings. I am impressed with the Japanese builders’ willingness to adopt new building systems or adapt traditional building methods to build a safer and stronger home for consumers here in Japan. Safety and comfort for the occupants of any home must be the top priorities. Finally, to you, our Japanese customers I say thank you. Thank you for your past and continued support. Thank you for being part of the growth of our company. Thank you for creating some of the most memorable mill and market visits. We do appreciate your interest in our shareholder operations and businesses and the deepening of our relationships with each other. We would like to introduce Mr.Eijiro Sakaguchi, President of Shingu Shoko for his speech and his call for the Kanpai toast. I would like to express my deepest congratulations to Interex Forest’s 25th Anniversary. I am very grateful that we are able to have this anniversary reception with Mr. Bruce Pollack and members of Interex’s important shareholders including Dunkley Lumber, Carrier Lumber, Miller Western Forest Products, and Norbord. 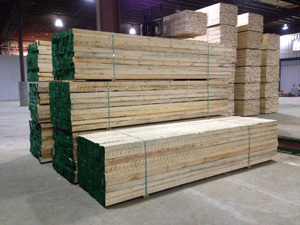 The current market continues to favor softwood lumber products and consequently its supplies are becoming tighter and tighter. Despite this difficult trend, you have been consistently providing us with high quality dimension lumber and OSB products. I am grateful for your effort. I would like to once again express my respect for your enormous contribution to the lumber market over the past 25 years. Incidentally, this year marks our company’s 112th anniversary, but it has been exactly 100 periods of fiscal year end since Shingu Shoko has been established. Also, if we extend our relationship with Interex to the Seaboard years, it has been over 40 years, and that is close to over a half century for which we have had the fortune of your partnership. According to Mr. Minegishi, there have been shifts from old to new generations in each of shareholder companies. I hope to take this opportunity to get to know new people and to strengthen our partnership. In my mind, this 25 years anniversary is merely a milestone in the strong relationships amongst Interex and its shareholder companies. I am hopeful that we will continue to make the relationships stronger for years to come. In closing, I would like to wish Interex Forest Products and its shareholder companies every success and prosperity. Now I would like to call Kanpai wishing for good growth at Interex and member companies as well as guest joining here this evening. Please join me. J. Bruce Pollock, President, Interex Forest Products presenting a commemorative “Good Luck” plaque to Chief Derek Orr. I was pleased to attend and be a part of the Grand Opening of the Duz Cho Forest Products (DCFP) mill held on June 13, 2016. I was first introduced to DCFP in late 2012, when it was a just a large empty shed but the people involved were bursting with innovative ideas and a notion to make a product out of resource that was not being utilized. All this group needed was guidance on best-fit product options and how to get to market and hence the relationship with Interex began. So when we shipped their first containers to Asia in August of 2015 we knew we were involved in something special. Fast forward to June 13, 2016 and we are part of a 200 plus delegation of dignitaries including 3 MLA, First Nations members (one elder offered the blessing for the event), mill staff and their spouses and customers and vendors alike. It was interesting to hear Minister Steve Thompson (Forest Lands and Natural Resource Operations) talk about the innovative approach taken by staff at DCFP to make the enterprise a success. As well, Chief Derek Orr’s expressed appreciation of all of the people contributing to the success of DCFP, including his Mom for allowing him to become Chief. Everybody should thank their moms sometime! We at Interex have been especially proud to be a positive contributor to DCFP’s launch and ongoing export program. Officially, we have been a part of DCFP’s export marketing program since April 4, 2014. Those first 2 containers shipped out in August of 2014 sowed the seeds for the sales, marketing and shipment of over 150 containers a month today and with an objective to further increase those volumes. Thank you and congratulations to our partners at DCFP. Your growth and success is our objective. 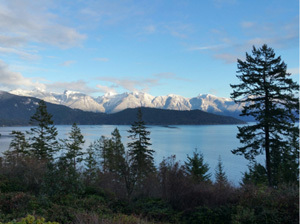 View looking East over Howe Sound to the Squamish/Whistler Highway, December 28, 2015. We have now wrapped up 2015 and I want to say thank you for your support during this past year and I wish you all a safe, healthy and prosperous 2016. 2015 will go down in the books as another good year in our company history with steady sales and shipments of lumber and panel products to our good customers. 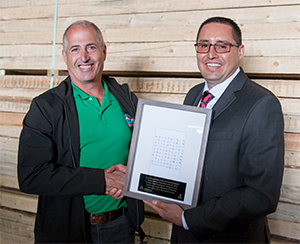 in November we transitioned our export lumber program to Annacis reload in order to meet the market demands of 100% undercover storage. Financial support from Interex was directed to the Yaletown House in Vancouver, an end of life care facility operating in downtown Vancouver and to Hockey Helps the Homeless, a day of charity hockey that pits former NHL’ers with skilled players and plumbers and pylons (like me) against other like teams in a one day event. This event raised $425,000 and will supply funding for those agencies supporting homelessness and at risk peoples in downtown Vancouver. In December of this year, our Vancouver office staff raised and will contribute $8,015 to the United Way campaign for 2016. Thanks all and thanks Rob Teichgrab for organizing this. In December, we donated $1,000 to the Lower Mainland Food Bank. We look beyond the strife that unfortunately takes place in our world. We give thanks for our health and our strong relationships that have endured. Again, from myself and all of our staff here at Interex Forest Products, we wish you all the best for a healthy and prosperous New Year in 2016. Interex Forest Products Ltd and Duzcho Forest Products, a subsidiary of the Duzcho Group of Companies located in Mackenzie, BC, concluded an exclusive overseas sales agreement on April 4, 2014. Since then we have embarked on a sales and marketing strategy finding opportunities in China, Taiwan and other overseas markets where KD-HT is not required. Pallet, concrete forming, treated landscaping, agricultural end-use and furniture component applications naturally fit into the slow growing, tight grain Lodgepole Pine that makes up the majority of the forest type in that area. Air dried and green anti-stain treated rough sawn products available in lengths up to 4.0m. Containers are loaded directly at the mill for export to the customers’ preferred port of call. 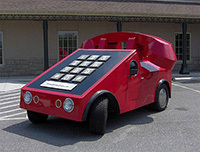 We welcome any inquiries – please Contact Us. We have commenced with our fresh start in 2015. Some of us even went for a swim in the ocean to celebrate the first day of 2015! I can assure you that the air was only slightly cooler than the water (+4 C. versus +5 C., respectively). I want to say thank you for your support in 2014 and I trust all had a safe holiday season. 2014 will go down in the books as the 2nd best year in our company history and a record year for panel sales and shipments. 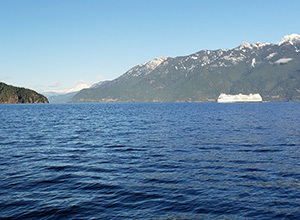 Our staff in Vancouver have remained the same doing the same great job. You will soon be able to take a look at each of us with the launch of our new web site in the first quarter of this year. We now have completed the conversion of our new business management system, called IMS, as our old management system, LumberTrac, was switched off December 31st, 2014 after 14 years of operation. With IMS, a new customer portal will soon be operational through our web site for customer access to order lineup, shipment details and relevant documentation. We are now fully operational with all of our SPF J-grade lumber now being handled at Euro Asia Transload, completing that conversion to undercover storage in Vancouver. Our sales staff were all busy with many customer visits to our member company operations and travel to the market. There was not one month in 2014 where we did not have customers visiting our Western Canadian operations with our staff or our staff in the overseas market place. Financial support from Interex was directed to the Western Forest Products families in Nanaimo, BC to help them get past the tragedy of April 2014. We had also had a record year of giving with the United Way of the Lower Mainland. In 2014, our Vancouver office contributed $9,260 to the 2014 United Way campaign. Thanks all and thanks Rob for organizing this. In December, we revised our approach for distributing our Christmas Gift Baskets and took those savings and donated $1,500 to the Lower Mainland Food Bank. From myself and all of our staff here at Interex Forest Products, we wish you all the best for a healthy and prosperous New Year in 2015.